One organization that has navigated this terrain with success is Samasource – a nonprofit that connects developing world workers with jobs via the Internet. 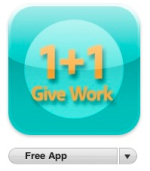 In launching their popular Give Work iPhone app, they’ve been able to greatly increase their profile and their revenues. The iPhone app brought a wave of positive press, and established Samasource as an innovative company. It also increases the individual supporters of Samasource and the quality of work delivered by its workers. 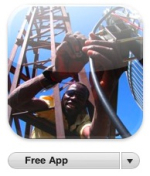 Building on that example, ICTworks has developed its own ICTworks iPhone App – free to download from the Apple app store. With it, you can keep up with all the latest content from ICTworks – News, Network, Twitter, and YouTube content. If you don’t have an iPhone, you can always subscribe directly to ICTworks via RSS, Email, Twitter, Facebook, or YouTube. These iPhone apps are just two possible models for interacting with your customers on the iPhone. Add in the new Android operating system from Google, and the proliferation of Android smartphones, and we should see a proliferation of marketing opportunities on mobile platforms. Wow! The app developer for Samasource’s iPhone app, CrowdFlower, just got $5 million in venture capital: CrowdFlower Raises $5 Million For Cloud Sourced Labor. And for good reasons too – since its launch last year, Crowdflower has completed more than eight million tasks, managed 125,000 unique works and has grown revenue by over 750 percent.